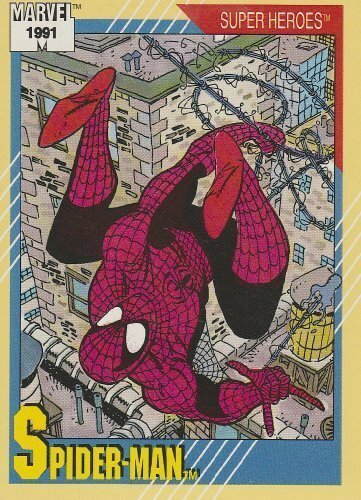 Marvel Trading Cards: Series 2 - Superheroes! Factory Sealed Limited Edition set. 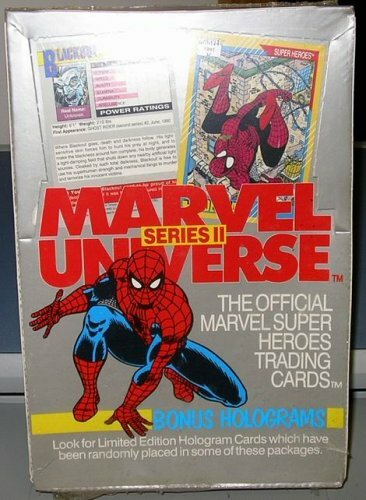 Contains the basic 162 card set and 5 Holograms.Limited to 7,500 sets. 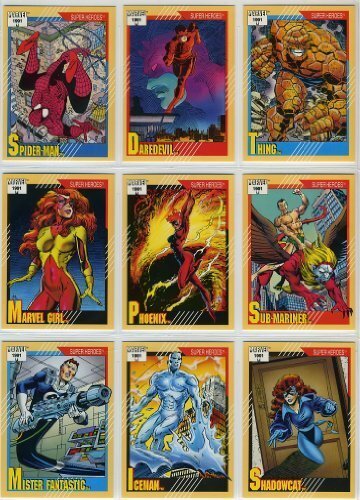 The second series of Marvel Universe from 1991. This was even shorter produced than series I. 36 Packs and randomly inserted Hologram chase cards. These cards are in NEW condition! The checklists on our cards are COMPLETELY CLEAR with no checks! 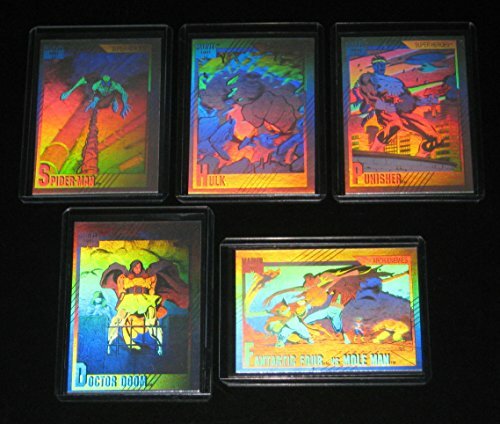 This is a complete set of 5 Hologram Cards. All are in NM/Mint condition, featuring Spider-Man, Hulk, Punisher, Doctor Doom, and Fantastic Four. If you have any questions, feel free to ask. Single cards are also available to this set upon request.
. Poseble. Figure stand included. Includes classified file with secret code. Plastic. 4'' H. Imported. Ages 4+. 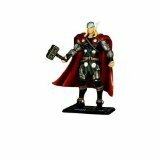 See all our Marvel Universe action figures, each sold separately. Base Set of 162 Trading Cards, all Near Mint-Mint condition. Set features heroes, villains, rookies, teams, famous battles, power ratings, etc. 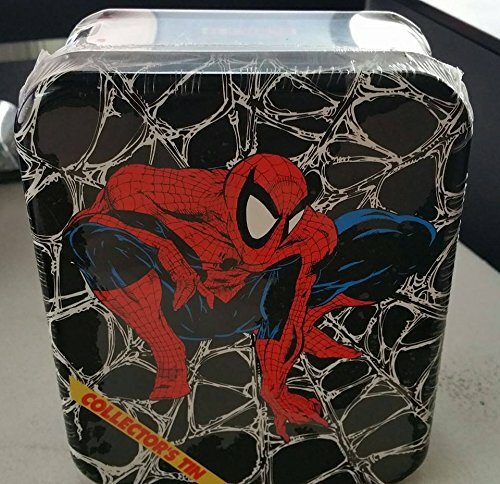 Look for Spider-Man, Wolverine, Hulk, Captain America, Iron Man, Venom, Magneto, Thanos and many other Marvel favorites. The power of the Hulk is legendary, as is the brilliance of the man trapped inside. For years, Bruce Banner fought against his other self, hoping to repress or destroy the Hulk. Now, each is reconciled to the presence of the other, and they work in concert Banner using his brilliance and the Hulk applying his raging strength when intelligence fails.Be prepared to avenge immorality with the mean, green fighting machine. 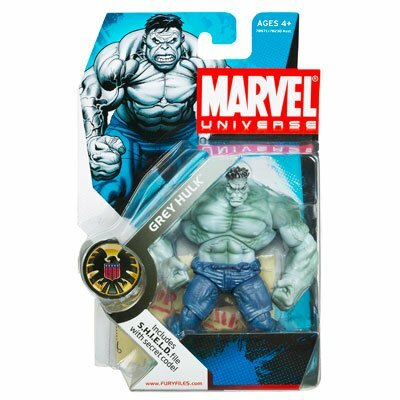 Posed with bulging muscles, this articulated Hulk figure is ready to take a stand in your collection.Figure comes with a S.H.I.E.L.D. File with secret code. WARNING: CHOKING HAZARD Small parts. Not for children under 3 years.
. Poseable . Figure stand included. Includes Repulsor Blast accessory. Includes Classified file with secret code!. Plastic. 4'' H. Imported. Ages 4+. 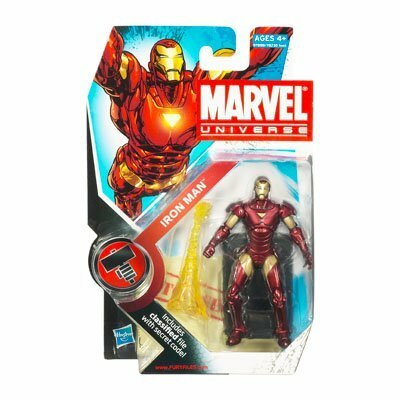 See all our Marvel Universe action figures, each sold separately.